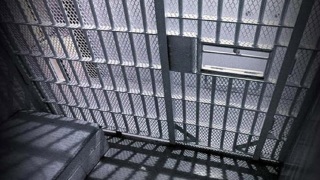 An employee of a Northern California slaughterhouse has been sentenced to three months in prison in a scheme that processed beef cattle with cancer. Federal prosecutors say Senior U.S. District Court Judge Charles Breyer issued the sentence against 56-year-old Felix Sandoval Cabrera on Friday. Cabrera was the kill floor foreman at Rancho Feeding Corp. in Petaluma. He pleaded guilty in 2014 to one count of conspiracy to distribute adulterated, misbranded and uninspected meat. Prosecutors say he acknowledged directing other employees to carve "USDA Condemned" stamps out of carcasses and place heads from apparently healthy cows next to the carcasses of cows showing signs of cancer eye. The scheme led to a massive beef recall. Three other people, including the plant's owner, have pleaded guilty and been sentenced in the case.